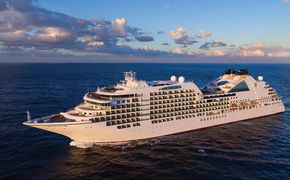 The voyage with Lewandowski departs Oct. 14 from Athens to Rome and visits Kusadasi (Ephesus), Monemvasia, Cephalonia (Argostoli), Taormina, Sorrento/Capri, an overnight in Livorno, Marseille (Provence) and Monte Carlo, on the line’s new Riviera, which launches in May. The Oct. 22 cruise with Oringer sails from Athens to Istanbul onboard Marina and calls at Patmos, Ashdod (an overnight stay to visit Jerusalem), Haifa, Limassol, Rhodes and Kusadasi with an overnight in Istanbul prior to disembarkation. The Bon Appétit Culinary Centers on board both ships feature 24 fully equipped work stations.